Overview… an experienced outdoorsman and adventurer who shares his skills with others as an extreme wilderness guide. This has landed Jerry a post at a research facility in Antarctica, where he leads expeditions for scientists in sub-zero conditions. 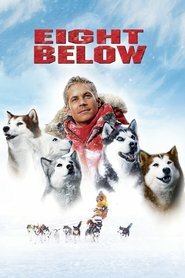 With the summer season coming to a close, he embarks on what should be one last trip with his trusty team of sled dogs before heading back to the mainland for the winter. That's the plan, anyway. Personality… sensitive and principled. Though Jerry’s job requires him to compete against harsh outdoor conditions, he’s actually somewhat of a softie, especially when it comes to his dogs. Friendly and eager to please, Jerry sometimes makes concessions against his better judgment. But when it counts he relies on his conscience and training to make decisions. Jerry Shepard's popularity ranking on CharacTour is #3647 out of 5,000+ characters. See our top-ranked characters and read their profiles.